Ok folks, here is a link to the pdf copy of my book. Feel free to distribute and share this page. Ideally visit the Amazon site and purchase the paper or kindle copy! It is also on iBooks now, I recommend this as the formatting is better than the kindle version which I need to polish up. Amazon page link on side bar. Lots of information on the principles of complex theoretical systems in computers, that might sometimes emulate natural systems, but no comparison with how organization generally develops and changes in nature. I support this comment: Self organisation and evolution of systems are one and the same thing and ultimately off crucial importance in the understanding and simplification of any complex system. Robert, an important topic and some interesting material. 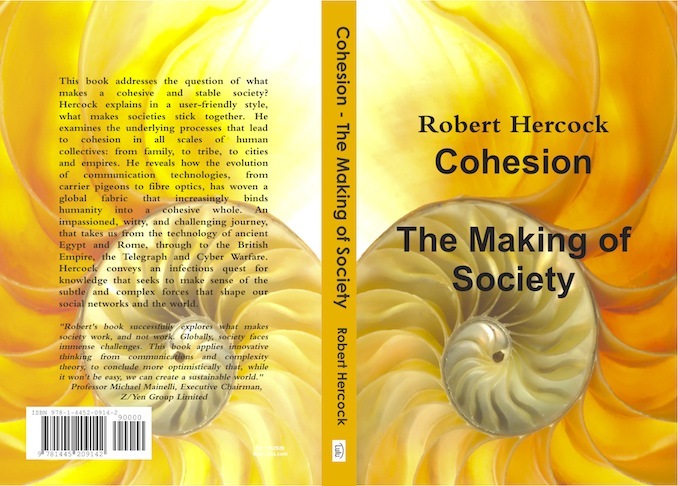 I have put some comments on my blog: http://djmarsay.wordpress.com/2012/01/16/hercocks-cohesion/ . Basically, I would weaken your conclusion a bit, along the lines of ‘trust but verify’. The above blog is a first step in realizing a society for the study of emergent orders.